Bachelor's Grove is located near Central Avenue (west of Cicero) and Midlothian Turnpike, at the point where it joins 143rd Street. The Rubio Woods Forest Preserve parking lot is located on the north side of Midlothian Turnpike, and is the only place to legally park in the immediate area. The Forest Preserve closes at dusk. Across from its entrance, on the south side of the street is an electrical substation. A few feet west of this, approximately where the road curves to the west, are the posts marking the entrance to Bachelor's Grove. The road here was closed in 1977, and the posts prevent automobile traffic. However, it is still easily accessible to bicyclists and pedestrians. Beyond the posts is a path through the woods - the remnant of the Midlothian Turnpike, the surface of which was ripped out in 1994. If you follow the path for about a quarter mile, the cemetery will come into view on the right. WARNING: Do not go in or near Bachelor's Grove Cemetery at night. Do not go in or near Bachelor's Grove Cemetery at Halloween, or for several weeks before or after that date. You will be arrested and charged with trespassing. The author of graveyards.com recommends that you don't go to Bachelor's Grove at all. "Bachelor's Grove" was the name of a nearby settlement beginning in the 1820s. The origin of the name is uncertain; some of the early records spell it as "Batchelor's" or "Batchelder's", leading to the theory that this was a surname - there was, indeed, a family named Batchelder living nearby in 1845. Another theory holds that the area was named for a group of four bachelors who settled here in about 1835. One of these was Stephen Rexford, who later established the Batchelor's Grove post office in 1843. The cemetery was established in 1864 on land previously owned by Edward Everden; for this reason, it is sometimes called "Everden Cemetery" (or Everdon). However, the name "Bachelor's Grove" is now generally accepted. For decades, local youths have been coming here to drink and carouse, and the cemetery is always strewn with litter. The site was abandoned in the 1960s, and since then has been under the jurisdiction of the Forest Preserve District of Cook County. Very little maintenance work has been done. Incidents of vandalism are extremely frequent here. Monuments have disappeared, dragged into the pond or removed from the site altogether. Most of the remaining stones are merely bases: plain rectangular stones without writing, meant to support the now-missing monuments. 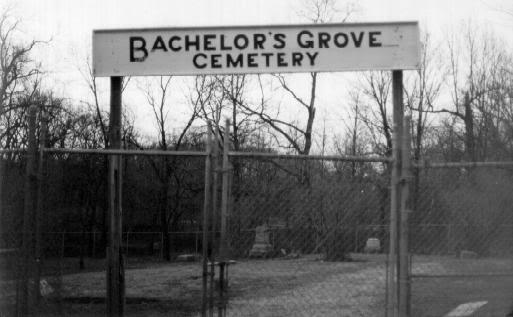 As the reputation of Bachelor's Grove as a haunted place grew, it caused more curiosity-seekers, pseudo-satanists, drunks and vandals to descend upon the site; the rapid deterioration that they caused only fueled the legends. Some say that Bachelor's Grove is haunted because it has been so desecrated. 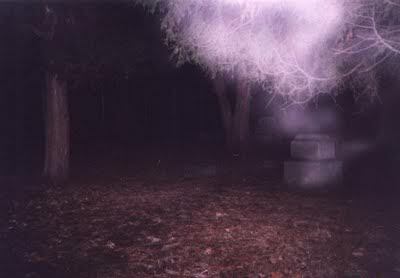 The most frequently cited ghost tale associated with Bachelor's Grove is that of mysterious blue orbs of light. 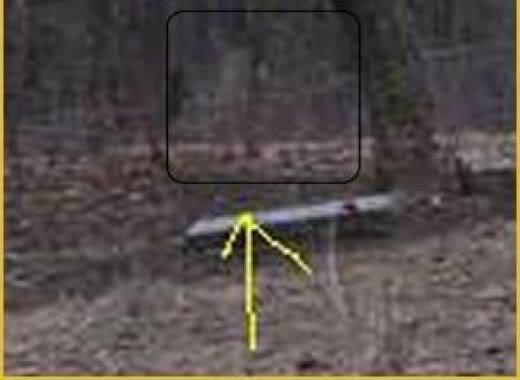 Most "spook lights" encountered elsewhere are yellow or white (not coincidentally, the color of car headlights); the blue lights seen at Bachelor's Grove are therefore unusual. Several witnesses have reported a ball of blue light, a few inches across, that moves with a seeming intelligence. The ball flies an erratic course, changing direction frequently, and appearing to evade contact, keeping just out of reach. The legend of the blue light is reminiscent of that of the Will o' the Wisp. In British folklore, a "Will o' the Wisp" is a mysterious ball of light that appears to travellers at night. The victim, thinking the light is a friendly lantern bearer, will follow it, only to be led to his doom in a marsh or ravine. There are other visual phenomena encountered at Bachelor's Grove, including streaks of red light, flashing white lights, and a mysterious mist. Many photographs taken here include such mists. The last burial at Bachelor's Grove was that of a McKee, in 1965. 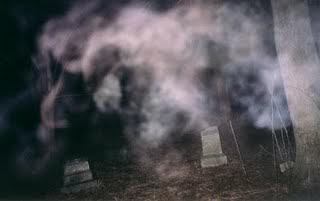 Over the years, various witnesses have reported encounters with phantom cars while driving past the cemetery. A typical version of the story has the witness driving at night - possibly unaware that they are about to pass the cemetery - when they see a dark car of a model from several decades ago, either moving or parked alongside the road. As the mysterious car is approached, it suddenly vanishes without a trace, leaving the spectator mystified. Local ghosthunter Richard Crowe experienced this phenomenon firsthand in 1975, driving past the cemetery at 10 pm and seeing a parked car evaporate as he passed it. He had another encounter in 1976, seeing a car vanish after entering the forest preserve entrance - in spite of the fact that there was a chain stretched across the driveway. 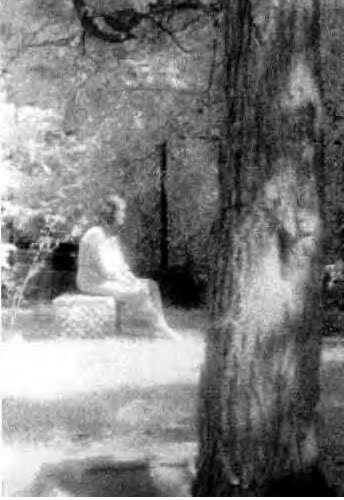 A popular story of Bachelor's Grove is an appartion of a woman in white. Called "the Madonna of Bachelor's Grove" or "Mrs. Rogers", she is said to be seen carrying a baby - or perhaps looking for her lost child. Wow!!! This is awsomw Mara!!! Kudos to you for this topic!!! Isn't it amazing that we live in a parallel world and most of us are oblivious? 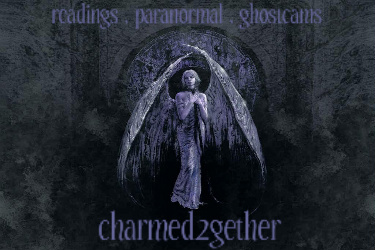 The cemetary that I went to with my kiddos and mom, is haunted, but not as hanted as this one that's for sure!!! Ok I'll look around and see what I find.